Facebook detects all of your activity including the people, pages, groups, everything that you search. When you click on that search bar, the list goes on; all that you’ve searched will be seen and this can be tracked. We weren’t blessed to have this list erased when Facebook was starting but now, we have the power to control what we see in our search history. Facebook now added the ability to erase our search history. What is the search history for? 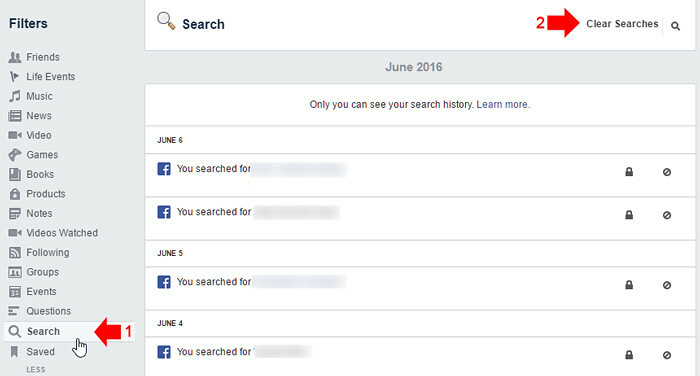 Supposedly, the search history is made in order to gain view of the people, pages, and groups you have searched on Facebook. It is there for easier access of what you have accessed. The list goes long if you do not think about managing the search history and it can be frustrating to see a lot of things you have searched. The owner of the account only has access to see this but if the owner wants to clear it – for some reason – it can be done with just one click. How do I clear my Activity Log/Search History? Clearing this log in smartphone or tablet is simple; you just have to go on the search bar and click the Edit button that appears along with the list of searches. This will redirect you to a page where you can edit what you can see in the search history/activity log. The process in clearing this is somewhat similar to what you have to do to clear the history in either smartphone or tablet. 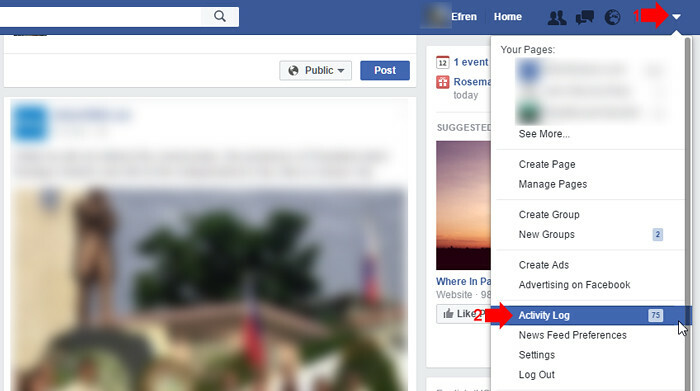 Click the “Inverted triangle” icon that is located at the upper-right hand corner of Facebook and then select Activity Log. From there, click More in the left side of this panel to reveal the Search option. Clicking it enables you to view your search history. You can go ahead and clear the search in general by clicking the Clear Searches button in the upper-right hand of this panel. Another thing you can do is you can manually select what searches to delete. 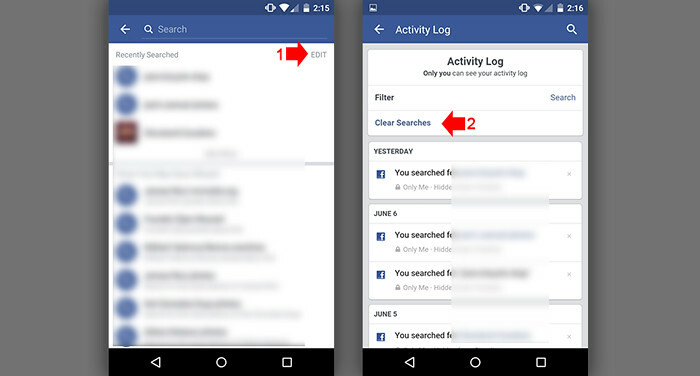 No matter what action you will make, the search history/activity log is visible to you so it should not be a bit of a problem – unless you are hiding something. Can this feature be turned off? As of now, we do not have ways to turn this feature off. Besides, the idea of saving your searches is a helpful and useful idea because it allows you to recover from what you may have lost when an error like crashing occurs. Now that you have this idea, what are your thoughts about this? Are you against the feature that remembers everything that you search on Facebook? Or are you against the thought of deleting what you have searched? Let us know in the comments below. Check our some of our compiled Facebook guides.